The Boisset Collection is re-imagining the world of wine. We are currently expanding our innovative Ambassador program and we can’t wait to share our story with you. You will learn about our rich heritage in wine-making, taste a selection of our extraordinary wines, and hear how you can pour your passion into an exciting business opportunity as a Boisset Wine Ambassador. Come sip and see what we are all about! Who should attend: Aspiring entrepreneurs and anyone considering a future in our amazing world of wine. Existing ambassadors are welcome, so bring a friend and join us for a lively and entertaining evening of wine tasting and sharing the social lifestyle of wine country. About the Boisset Collection: The Boisset Collection is a global, family-owned wine company founded in 1961 with more than 25 wineries and tasting rooms from California to France. 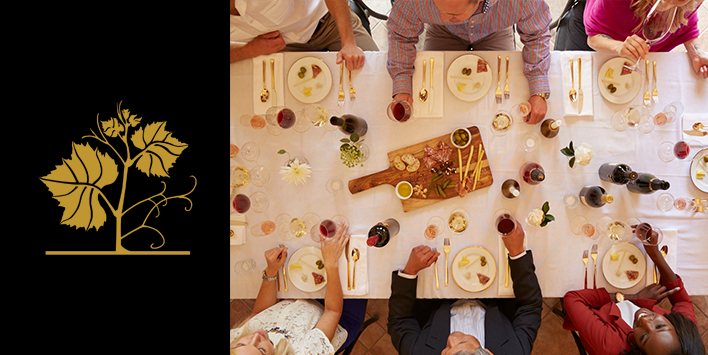 Boisset Wine Ambassadors are personal wine curators who lead private in-home tastings and offer services such as corporate gifting and custom labeled wines. We are a global wine company rooted in history with a passion for innovation beyond the traditions of the wine industry. Led by our visionary proprietor Jean-Charles Boisset, our mission is to change the way people taste, experience, and buy wine. The Boisset Ambassador Program is an incredible opportunity to turn your passion for wine into a flexible, rewarding business.